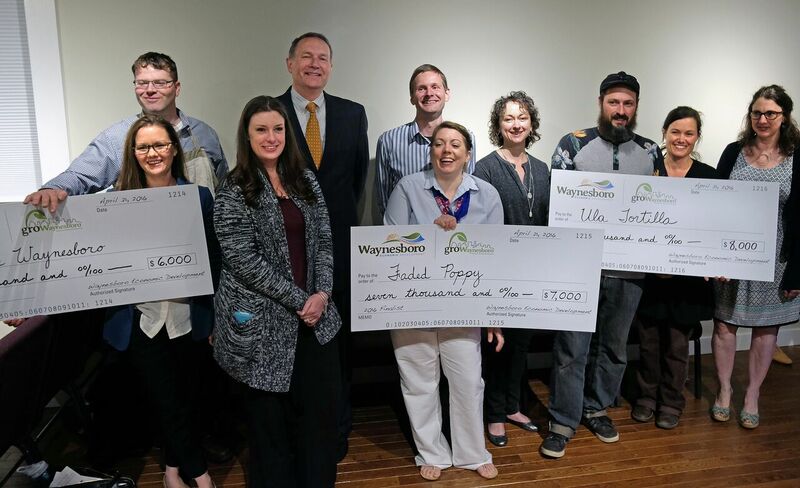 Grow Waynesboro is pleased to announce the final grant awards for three new local businesses, helping them to create jobs and build a culture of entrepreneurship in Waynesboro. The announcement follows several months of searching and outreach, to identify the most exciting and innovative new business start-ups in Waynesboro. Interviews were conducted with local residents to jumpstart a conversation about needs and opportunities in the local economy, and over 24 grant applications were received with new business ideas from local entrepreneurs. The final grant announcements follow a public Pitch Night event in which semi-finalists presented their ideas to a panel of judges, peers, and community residents. Judges chose the final winners based on a diversity of criteria, including the start-ups’ need for funding, their business viability and readiness, as well as their positive impacts on Waynesboro. Make Waynesboro, awarded $6,000, aims to bring a complete, creative retail and making experience to Waynesboro composed of complementary services. The downtown space they envision would consist of a retail space with unique ceramic items combining form and function; studio space for owner, Jake Johnson, a professional ceramic artist; and space for lessons or night-out making experiences. The Faded Poppy, awarded $7,000, creates unique and beautiful floral arrangements, sourcing from local growers and even their own backyard when flowers are in season. Currently a home-based business, the Faded Poppy will use Grow Waynesboro grant dollars to open a new storefront for floral event and ordering needs, working with local vendors such as White Dress by Greta Kay and Amanda’s Touch to create a one-stop wedding planning destination in Waynesboro. Ula Tortilla, awarded $8,000, is currently a producer of organic corn tortillas in Afton. They will be opening their new storefront and manufacturing space in Waynesboro, as well as expanding their product line to include chips, flour tortillas, and a greater variety of corn tortilla, bringing local food manufacturing and job creation into downtown Waynesboro. To see a full video of the awards and participants in Pitch Night, check out our summary video below.